The first time a huge male lion walked past my jeep, just a metre away, I was breathless with fear. When I realised he wasn’t going to jump into the jeep, I relaxed and spent many hours taking photographs and writing about the lion’s behaviour. I love watching lion cubs. They are so entertaining. They’re always getting into mischief, biting mum’s tail and annoying dad. When a kill is made, each lion fights for its share and the sound of their roaring is deafening. One morning in the Maasi Mara, I had a huge lion close to my tent. He was calling his three sons who were on the other side of the river, and my tent was in the middle. It was exciting and terrifying. I had an amazing once-in-a-lifetime experience in Zambia. I walked with four young lions for an hour in the bush with three guides! One guide gave me a sturdy stick and said if a lion misbehaved I should point the stick at it and shout a very loud no! Thankfully, I didn’t have to do that. 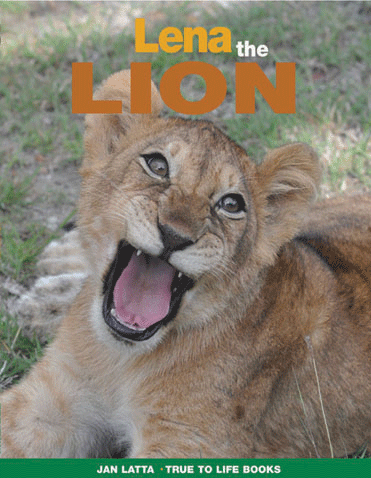 The concept for the book is the lion talking to children about its life in the wild and how it can survive. There are maps, interesting facts and fun activities. See this video of lions in the wild.